Turn the cruise control main switch off when not using the cruise control system. Be careful as the vehicle speed increases when driving downhill with the cruise control system on. 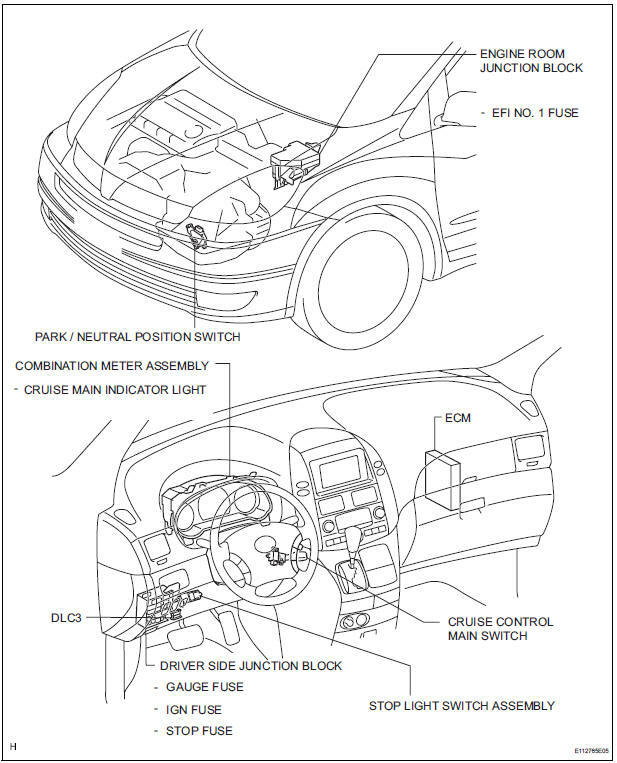 The + (ACCEL)/RES (RESUME) operation changes according to the cruise control system status. When the cruise control system is operating, the + (ACCEL) function operates. When the cruise control system is not operating, the RES (RESUME) function operates. If the CRUISE main indicator light blinks while the cruise control system is operating, turn the cruise control main switch off to reset the cruise control system. 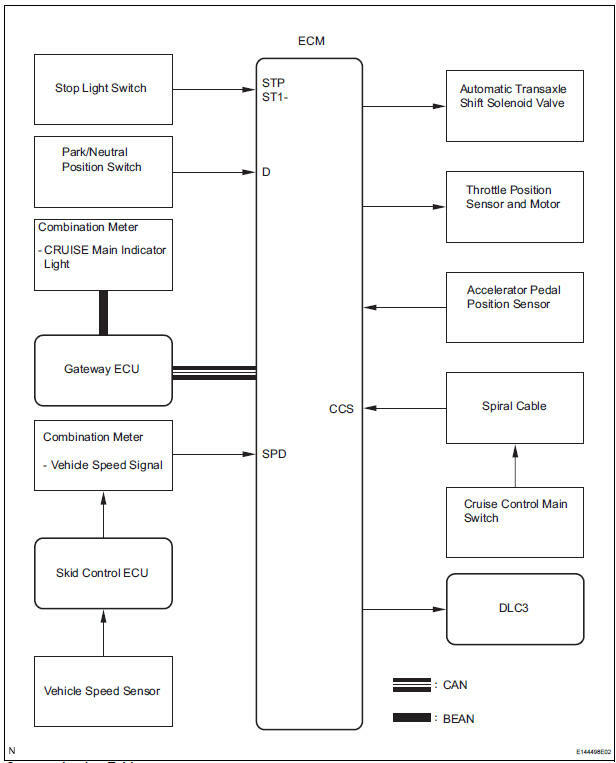 After the reset, if the cruise control main switch cannot be turned on, or the cruise control system is canceled immediately after turning the cruise control main switch on, the system may have a malfunction.